The system at City Hall is broken. Toronto Royal York Hotel, Epic Lounge invites guests to Fairmont Fridays, a weekly wine and cheese event featuring live Jazz entertainment. Each Friday evening, a winery is chosen to showcase their signature wines. Live Jazz entertains guests and cheese platters are available to pair with the featured wines. Greater Sudbury Mayor Marianne Matichuk was at the Royal York Hotel, Epic Restaurant to dine on the taxpayers’ expense. Matichuk’s fine dining cost taxpayers $ 105.40 (See Leaked Out of Town Expense Claim form). Her excuse to be there was stated as a business meeting with Queens’s park columnist Christina Blizzad. According to the expense claim form submitted by Matichuk, she has been in Toronto to attend a meeting with Minister Rick Bartolucci. It is unclear why Matichuck wanted to meet Bartolucci; a Sudbury MPP in Toronto, travelling, over 400 km from Sudbury. However there is no debriefing before the council, the matters that were discussed, and how these meetings in any way relate to benefiting taxpayers. WikiLeaks Sudbury also uncovered Matichuk’s lavish spending habits; details of a glass of orange juice which cost taxpayers $14.00 were also revealed. 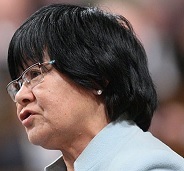 On two occasions on January 31, 2011 and June 22, 2011 Matichuk ordered beverages to her “global office” at the cost of taxpayers. Vender identified as 1343 and the total amount was $ 57.95 (See leaked invoice 01) and $ 83.37 (see leaked invoice 02) which was paid in full. Christine Hogarth, Chief of Staff also followed the same lead as Matichuk. On December 16, 2011 she had a ‘thank you dinner' at ‘Respect is Burning’ restaurant in Sudbury. It cost taxpayers $168.68. Hogarth did not hesitate to pay a $28.11 tip which also came from tax dollars. Hogarth did not stop at this point. She spent another $ 84.64 on December 30, 2011 on a ‘thank you lunch'. The amount was charged into Matichuk’s global office account number 61103-01-0205 and was reimbursed in full on January 03, 2012. Matichuk generously approved Hogarth’s so-called miscellaneous business expenses and did not consider the value of tax dollars. (See leaked miscellaneous business expenses 02). WikiLeaks Sudbury also uncovered a “lunch business meeting” between Matichuk and her chief of staff Hogarth. On October 24, 2011 both of them met at the Simon’s café & Deli on Durham Street, Sudbury, and spent $44.02 in tax dollars. Hogarth was so generous to give a tip of $ 6.00 which also came from tax dollars. On November 07, 2011 Matichuk and Hogarth met again, this time at the Wacky Wings, Shaunessy St, Sudbury. They sat together at table # 46 and had their so-called lunch business meeting at the cost of tax payers. The total bill comes to $28.24 and Hogarth again generously gives a $4.00 tip which also came from tax dollars (see Leaked Miscellaneous Business Expenses 03). It is puzzling as to why Hogarth and Matichuk wanted to have a lunch business meeting outside of the mayor’s office. Both of them meet every single day in the Mayor’s office and they could have discussed any municipal business within the office grounds, avoiding additional expenses to taxpayers. Now it is clearly evident that Matichuk and Hogarth abused the system and also breached the public trust. These unethical expense claims should be denounced and those responsible should provide answers to the taxpayers. However, Sudbury taxpayers may never see either an apology from Matichuk herself or evidence of her repayment of the cost of the $14.00 glass of orange juice. In the Sudbury Mayors’ global office, it is the institutionalization of perquisites in the forms of free airline tickets, free accommodation in luxury hotels and generous per diems that is costing taxpayers thousands of dollars every year. Matichuk also spent over $10,000 for her 4 days Vancouver trip and defended her expenses as a “cost of doing business.” Her opulent lifestyle in Toronto, Vancouver, and Sudbury cannot be ignored; with a political culture that has become more lucrative for Sudbury politicians and bureaucrats to roam around Canada rather than stay in their offices to do what they’re paid to do. Mayor Matichuk’s choice to live lavishly and indulge in dining at the cost of taxpayers points to a larger problem in the system. We may be reaching a tipping point when it comes to citizens' tolerance of our political class' sense of entitlement. Politicians may be starting to realize it, but still, the only seem to acknowledge it when they're caught. Sudbury Politicians and bureaucrats are stuck in an outmoded and discredited system of entitlements, while other people in the Sudbury community struggle to make ends meet. These are credible pieces of evidence of Matichuk’s global office as one that is totally out of touch with the priorities of taxpayers. There is absolutely no excuse for the misspending of public funds. Matichuk must provide clear answers to the taxpayers. Sudbarians are fed up with politicians and bureaucrats and, wondering how deep the flagrant spending abuse runs. Matichuk : Yours to discover. This paper initially submitted to the local Government Program, Department of Political Science, The University of Western Ontario. Excerpts of the article as follows. Over the last decade, a vast amount of academic as well as policy-support research has been conducted on integrity, transparency and accountability – and conversely – corruption in the public sector. A consensus has developed world-wide over the importance of reforming public sector institutions to strengthen integrity, transparency and accountability and to prevent and combat corruption. Such reforms are crucial to protecting public resources, enhancing public sector performance, and strengthening the government’s role in orchestrating development and providing basic services. The main objective of this paper is to determine if the government, both provincial and municipal, are doing enough to prevent and eventually eliminate corruption and maintain integrity at the municipal level. The determination is particularly important as Canadians municipalities, should be ‘seen as neutral, non-partisan, effective and innovative institutions that serve the best interests of the government and the citizens. With the amendment of the Municipal Act, 2001 through the Municipal Statute Law Amendment Act, the Ontario government’s intention is primarily to promote transparency and accountability within municipal operations and its awareness among the public. The public is now able to participate in ensuring accountability and transparency and is directed by the Public Complaints guidelines. A pertinent question is, ‘How informed is the public about the public complaints guidelines?’ Accountability is the degree to which local governments have to explain or justify what they have done or failed to do. It can be seen as the validation of participation, to which [the public] can hold a local government responsible for its actions…In theory, transparency in local governance should mean less scope for corruption, in that dishonest behaviour would become more easily detectable, punished and discouraged in future. Government is a trust created for the benefit of the people. Elected officials acknowledge that “members of the public expect elected officials to be guided by the highest ethical standards of behavior in decision making and conduct. To ensure that the ‘trustees’ of government act in the benefit of the people, legislation was and continues to be enacted and amended to direct and guide the administration of municipal management. The general objective is to enhance municipal performance, protect the public resources and strengthen the government’s ability in providing its services. However, despite the legislative directives of the Municipal Act, 2001, giving municipalities the authority to appoint an integrity commissioner and to provide education, advice and a complaints investigation services, many Ontario municipalities to date have not adhered to all the requirements. Corruption prevention in Ontario municipalities is the responsibility of the province, municipality, staff, law enforcers and the citizens. It is a collective responsibility to ensure that municipalities are operated in a manner that does not involve or support corrupt activities and where integrity and trust are highly regarded. Government, through the reporting of allegations of corruption incidents is aware that corruption exists and that it is not unique to any particular level. Legislation is being enacted over time in an attempt to address the issue and creating more legislation is not necessarily the most effective way of making the situation better. The Federal government in a reactive approach enacted the Public Sector Disclosure Protection Act (PSDPA) in 2007, and updated the requirement for municipalities to adopt policies in the Municipal Act, 2001 through the Municipal Statute Law Amendment Act to assist in addressing the issue. It is believed that upon being hired or elected to serve within a municipality, all staff would rank integrity highly and uphold the virtues of honesty, fairness, truthfulness and reliability as they serve. Unfortunately, for varied reasons, and despite the intent and efforts of legislations, over time, there are staff members who fail to comply and get drawn into corrupt activities. That is to say, some politicians and executives at the local level, by virtue of their position, are able to exercise their influence and authority to control the key decision making process. This makes it clear that the ability to control decision making is closely tied into ‘power’. It may be argued that elected officials do have political power, but when that power is used in the wrong way, that is when we have a problem. Therefore, it is because of this ‘power’ that they possess, why municipalities must put in place policies and procedures that guides the decision making process, and to ensure that these principles are adhered to on a consistent basis, in the interest of accountability and transparency. I maintain that the preventative measures currently in place are not enough to complete the job of preventing and eliminating corruption and maintaining integrity within municipalities. Because the human component plays a large role in municipal operations and because of the inadequate preventative measures, we continue to read and hear about allegations and incidents of corruption within municipalities through the various media. Municipal staff, the general public, the police and the private sector can make a difference in the level of corruption within municipalities. What is needed is a clear understanding of the nature of corruption that takes place within government and together they can work to curb its continuation. It must also be understood that the corruption prevention issue cannot be left to the municipal leaders alone. Pressure and collaboration from the staff, public, police and the business community can and will keep the commitment of corruption prevention alive. To be able to achieve this, citizens must be educated and informed about the role they can play in fighting corruption within municipalities. They need to understand that on-going corruption lowers their standard of living and that they need to take a more active role in disclosing or reporting corrupt activities, by monitoring or reviewing municipal government performance. Legislators, municipal staff and residents alike are aware that, although they are not directly involved in the corrupt activities that take place within municipalities, they know that it will somehow have a negative effect on them. If these incidents within municipal operations are allowed to continue, the integrity status of the municipality and the competence of its staff is likely to be questioned. The onlookers may not necessarily say that one or two municipal staff members are being corrupt; they will say all city staffs and officials are corrupt. This would reflect negatively on the Human Resources Management functions, the hired staff and elected officials therein, which could lead to distrust between municipal staff which could further lead to reduced performance and efficiency in service delivery. If the situation progresses to such a level, we can anticipate that the associated financial and economic problems will follow closely behind. It is the government’s responsibility to address the issue of corruption by empowering both the public and staff (by getting them more involved in the decision making) to see how best corrupt activities within municipalities can be discouraged. So what should be government’s additional approach to addressing corruption within municipalities? If those lessons are learned by people in government, and by people dealing with government, we can hope to see scandals (corrupt activities) arising from spending public money far less frequently. Therefore, let municipalities learn the lessons and adopt the best practices so that it can be confidently said that government is doing enough to address and eliminate corruption and preserve integrity within Ontario municipalities. Palmer, J. (2011). Corruption Prevention in Ontario Municipalities: A review of the City of Toronto’s Bellamy Inquiry to determine if government actions are sufficient to eventually eliminate corruption and preserve integrity within Ontario Municipalities. The local Government Program. Department of Political Science, The University of Western Ontario. Corruption Prevention in Ontario Municipalities: MPA Research Report.